Instagram, as one of the most popular social media tools today, easily connects you with your target visitors in a fun and quirky way. To manage such connections and explore other venues for promoting your blog, different tools are available. The good thing is that these tools allow you to enjoy the experience, too. Statigram gives a ring to the word “statistics,” which this famous Instagram tool is mainly about. It is now used by “7 Million satisfied members” that makes it a great tool to manage engagement with followers and fans of your blog, aside from monitoring account statistics. It gives you statistics on your Instagram account, not just fun facts which most users are interested in, but also growth trends that tap on follower engagement, followings, and most popular posts. It allows you to install your IG feed in your blog and social media accounts such as Facebook, Tumblr, and Twitter, with an interface that is eye-catching and professional-looking. It allows you to engage with followers via comment tracking with the comfortable interface of a computer. There is also an option of sending private messages, if you want to make your reply more personal. Think of a quirky, feature-loaded chatbox equipped with a login feature that access your social media accounts. Recently, they’ve added Instagram in the growing list of social media integration. Founders of Chatwing markets the tool to IG users by tapping on the food bloggers who use IG to promote their blogs. Its main use for IG users aside from the capability to chat with IG followers? Photo sharing. And they see this most interesting when sharing photos of food. Followgram allows you to install your IG feed in your blog, connect with your followers more easily, track your engagement performance, and get free statistics about your account. What separates it from other tools is its upgrade option. If you’re seriously trying to improve your presence in IG, which translates to promoting your blog, Followgram’s “Power User” claims to make you more visible as a user rather than a brand trying to promote itself. Among the places in the interface where you’ll appear to its many users are the Homepage, Search, and Explore. In addition, it has a plugin for WordPress bloggers that allows you to install “follow me” buttons in your blogs. It works when a page visitor clicks this button and the Instagram API lets the user access their IG account and follow you. In one of the papers I wrote for bestessays, I stated that the way marketers utilize these different social media to promote their brands should revolve around user experience. While you promote your blog using Instagram, you also promote your Instagram account using your blog posts. Think of it as enhancing user experience both ways, which is extremely beneficial to you. Ink361 gives you access to basic Instagram functions, but that’s not why you would use this tool. Ink361 creates a whole new experience for IG users with its photo prints and tools. It has promotional tools like Twitter and Facebook cover photo creator that uses photos from your Instagram account and an IG gallery widget for your blog. It is clearly a tool for bloggers who intend to create highly visual experiences for their followers. Best of all (I think), it lets you sell your photos to both IG users and non-users. If you’re a photoblogger, this is another way to earn, under their terms and conditions. Nitrogram is not for free as it comes with the price of $149 per month if you have less than 50 thousand followers or posts. If you have up to 200 thousand, the price becomes $399/month, and you have to ask for the price if you go Big Bang or going beyond 200 thousand. What does Nitrogram have that’d make you spend the hefty monthly sum? It claims to be a tool specially created for business owners that leverage on Instagram to promote businesses. According to its Features tab, it has a set of analytics tools for hashtag use, engagement, and followers. It also gives insight on how to manage your brand and how effective your campaigns are in reaching your followers. Sounds like a serious tool for serious business owners. Unless your blog is linked to a competitive online business, it wouldn’t sound tempting at all. But you can try it free for 14 days. 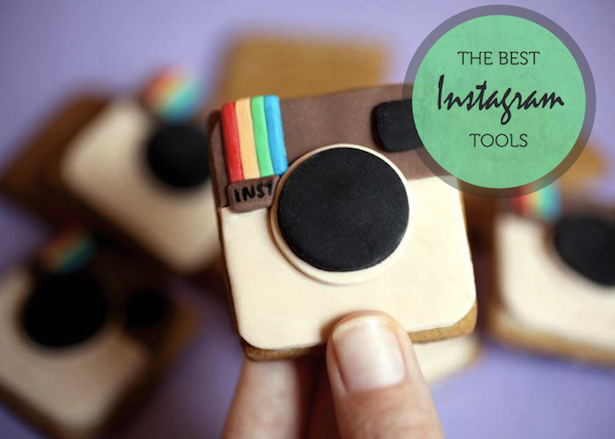 This entry was posted in Internet Services, Marketing, Social Media Engagement, Social Media Marketing and tagged 5 Great Instagram Tools for Users and Bloggers. Bookmark the permalink.